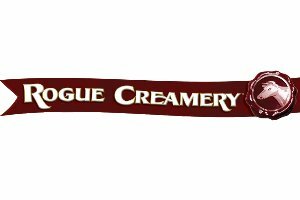 The first Central Point creamery opened its doors in 1933, now 80 years later, after years of ups and downs, Rogue Creamery is thriving. Gremmels and Bryant are at the helm; they bought the creamery from Ig Vella, a man who was dubbed 'The Godfather of the artisan cheese industry', because of his dedication to artisan cheese, and for his efforts over the years. Gremmels and Bryant have steadfastly held to the principles laid out by Tom and Ig Vella. They draw from the beauty and flavors of Southern Oregon’s Rogue River Valley to create eight handcrafted blue cheese recipes, cheddar cheese and TouVelle. Over the last half century, Rogue Creamery blue cheeses have received international acclaim. The certified sustainable whole milk they use to make these original blues comes from Rogue Creamery's dairies along the banks of the rugged and scenic Rogue River. In the first two years the Creamery won numerous trophies and awards, including World's Best Blue Cheese at the 2003 World Cheese Awards in London, a first for a U.S. creamery. Their long list of accomplishments also includes the coveted Best New Product Award as the World's first Smokey Blue at the National Association for the 2005 Specialty Food Trade (NASFT) Food Show in New York and Rogue River Blue took Best in Show at the 2009 American Cheese Society in Austin Texas. They have garnered more than 4 trophies and 30 medals and awards. All Cheese produced by Rogue Creamery is rbst, rbgh and antibiotic free. All Rogue Creamery Blue Cheese is gluten free with testing conducted annually by a certified lab. The product line also includes a wide selection of raw milk and vegetarian friendly cheeses.